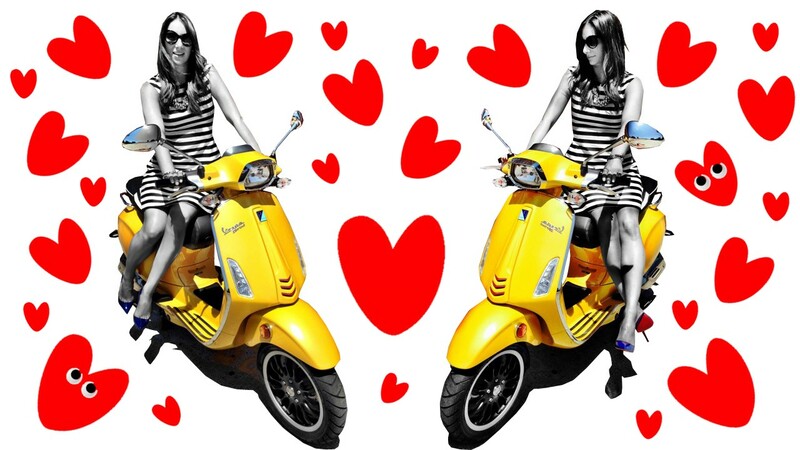 Vespa BK x The Style Saetta – Love Is… Bold. Love comes in many different forms, a variety even, of feelings and emotions that trigger a memorable high. This universal language is what separates us as humans from the rest of the organisms inhabiting the planet earth. A simple statement adorned with primal colors, this message is hard to misunderstand. I was instantly inspired by the simplicity of this whole setting. 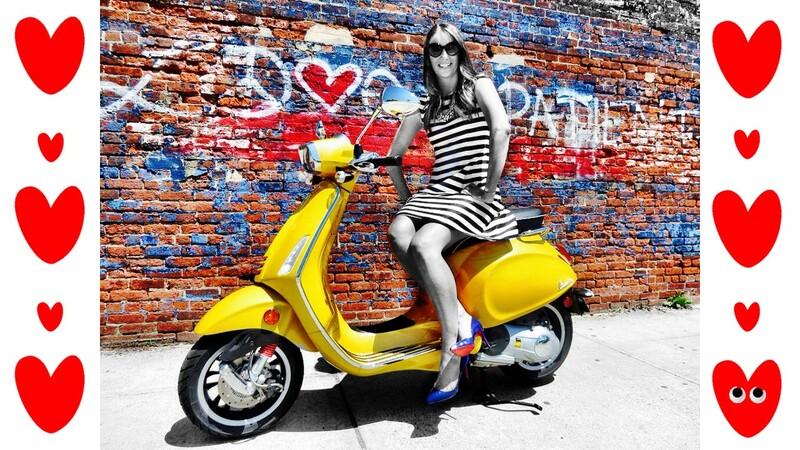 My yellow 2015 Vespa Sprint completed the primary color trifecta of Red, Yellow and Blue – the fundamentals of every color in existence. 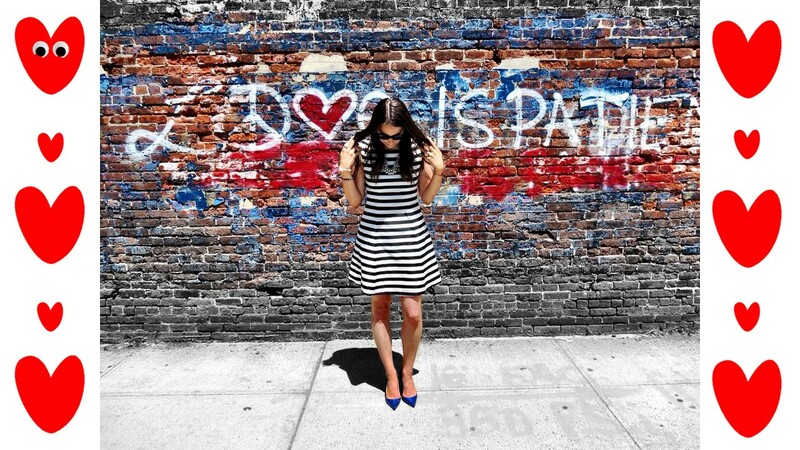 My black and white striped dress represents opposite and opposing colors lined up in a harmonious order making chaos so much easier on the eyes. To top it off, “Love is Patient” directs us to simplify a feeling we overly complicate on an every day basis. Have patience for one another. 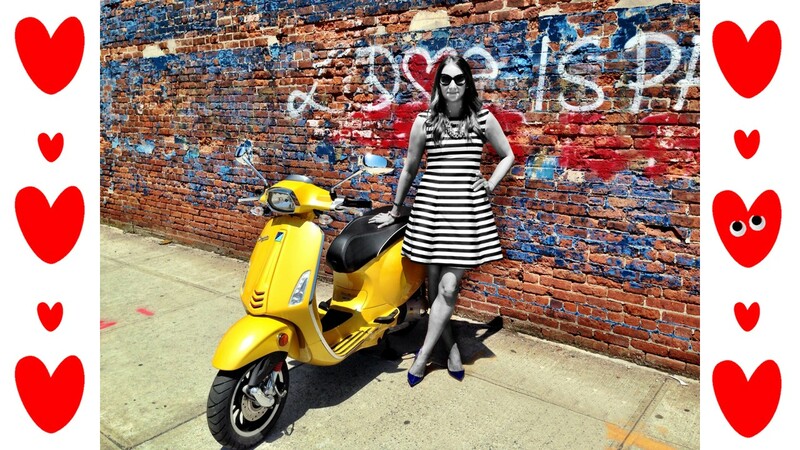 Instant gratification is gone in a flash. How do we make love last when everyone is watching?